Thank you very much for thinking of me! 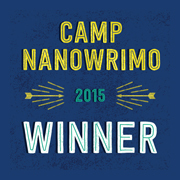 This came as a bit of a surprise to me this morning, since I only recently started posting in my blog again after a year long hiatus. I finally feel like I have something worthwhile to write about again now that my son is here, after being lost for words for so long so to speak. What is a Leibster Award you ask? 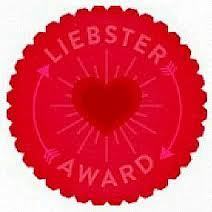 The Liebster Blog Award is given to up and coming bloggers with less than 200 followers, and it is nominated by fellow bloggers. – Answer the 11 questions asked of you, and, in turn, make 11 questions for your own 11 nominees. 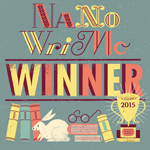 – Link to those 11 nominees, and tell them about it at their blogs. 2. The only thing I hate worse than elevators are escalators. 5. There is a 19 year age gap between my oldest and youngest child. 8. I love to write, but no one would ever know it by my typos. 9. I once put myself in the emergency room from eating hot salsa. 10. I think the coolest sound in the world is that of ice scattering after being thrown onto a frozen pond. 11. I frequently spend most of the day in my pajamas unless I have to go somewhere, or company is coming over. 1. What is your ideal vacation spot? I would like to visit Europe again, and maybe even live there for a little while. Finland would be my first choice of destination. Wales and Switzerland are both a close second. 2. Do you have a Vice? What is it? Sweets, mostly chocolate anything, though I have to be careful which ones due to allergies. 3. What is your favorite TV show right now? We don’t really watch tv around here seeing as we don’t have cable, but we do always purchase all the new seasons of Mythbusters off itunes. I originally started blogging because I was living far away from my hometown and didn’t have much of anyone to talk to at the time. 7. You are stranded on an island – what are the 3 things you could not live without? My family, a way to play music and lots of food. 8. If money were no object, what would you treat yourself to? That’s an easy one, I’d buy a house so we would never have to worry about where we are going to live again. 9. Do you have a pet peeve? I have several of them. The two I can think of off the top of my head are having to write with blue ink pens, and hearing the sound of people chewing on ice cubes. 11. Are you a coffee or tea drinker? 1. Who is one person living or dead you would love to meet the most and why? 2. What is one talent you don’t have you have always wished you’d been given? 4. What was your favorite book when you were a kid? 5: Hamburgers, hot dogs or bean burritos? 6: What is your favorite animal and why? 7. You are offered two front row tickets to the concert of your choice, who would you want to see most? 8. You have last minute company coming over for dinner, what would you serve? 9. What’s the strangest thing you have ever bought for your son or daughter? 10: What song would you play loudly out the windows of the car to embarrass your kids when picking them up from school? 11: Which Hollywood celebrity would you most like to see given a one way trip to the planet Mars?